Living seawalls is a field of study that is investigating how we can redesign seawalls to be more ecologically productive. Seawalls are an ever present structure in our intertidal environments and are very rarely designed in a way that provides shelter for native animals. Normally a seawall is completely flat and devoid of crevices minimising the potential for colonising organisms. The aim of the living seawalls project is to begin developing a blueprint for how we can design marine infrastructure in the future. Alex’s studio has created a series of 3D printed concrete geometries for the research through his company Reef Design Lab. 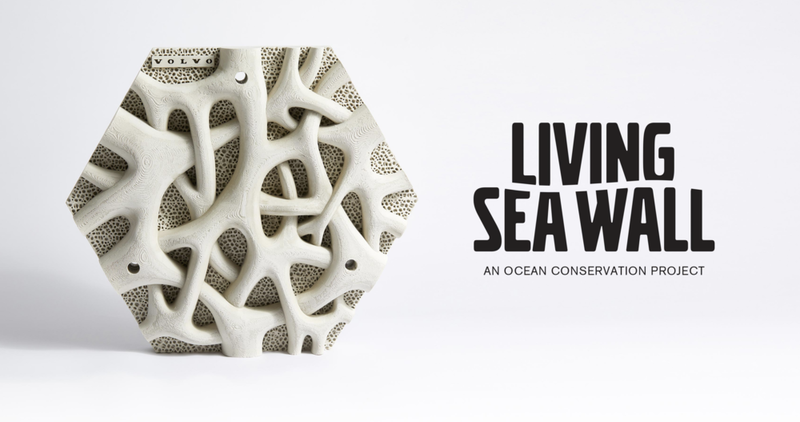 Reef Design Lab has partnered with Sydney Institute of Marine Science who are leading the research. The collaboration sees 500 panels attached onto seawalls throughout Sydney Harbour which will be monitored over then next few years. The project is also being supported by Swedish car maker Volvo. Our studio created a living seawall installation for Volvo which will form part of the research scope. The project can be viewed in the link below.